There are different elements of epic, fantasy, historical fiction, and the likes. 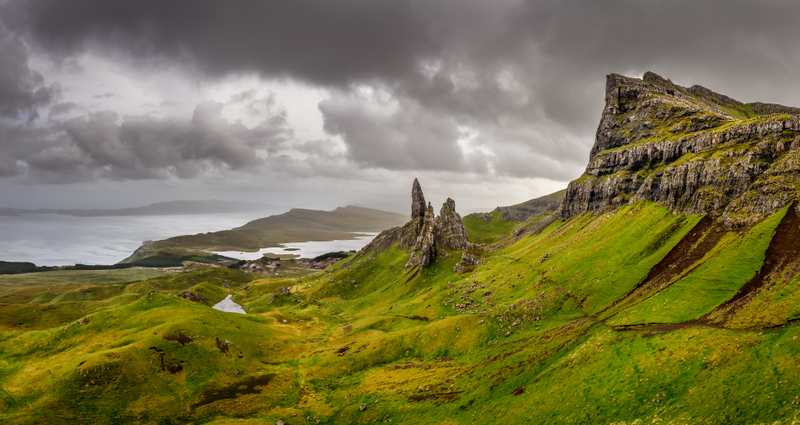 With Outlander being a combination of different genres, we came across George Straatman’s characteristics of epic high fantasy that were befitting for how we measured and discussed Outlander, the television series. 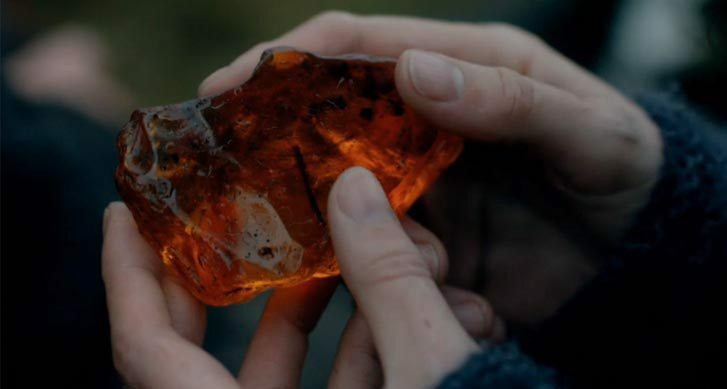 Though we have not read the books, it was apparent that the books by Diana Gabaldon hold true as well, especially since Ron Moore and the writers did not deviate too much from the source material. The very first episode sets the stage for what is to come. The setting is Inverness Scotland. 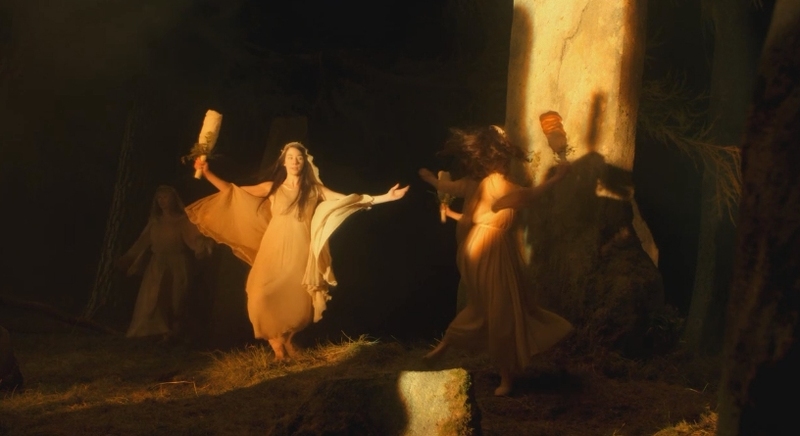 From the onset, Frank and Inverness’ inhabitants give us a history lesson of the Scottish culture – Pagan mythologies/Druid beliefs, the stones at Craigh na Dun, rituals, people reading tea leaves, etc. King James VII (of Scotland) and II (of England) was dethroned because of his Catholic faith and replaced by his daughter and son-in-law, Mary and William (Protestant); later succeeded by her sister, Anne and later George II. The Jacobites (supporters of King James) wanted to return the Bonnie Prince Charlie (James’s grandson) to the throne of Great Britain. 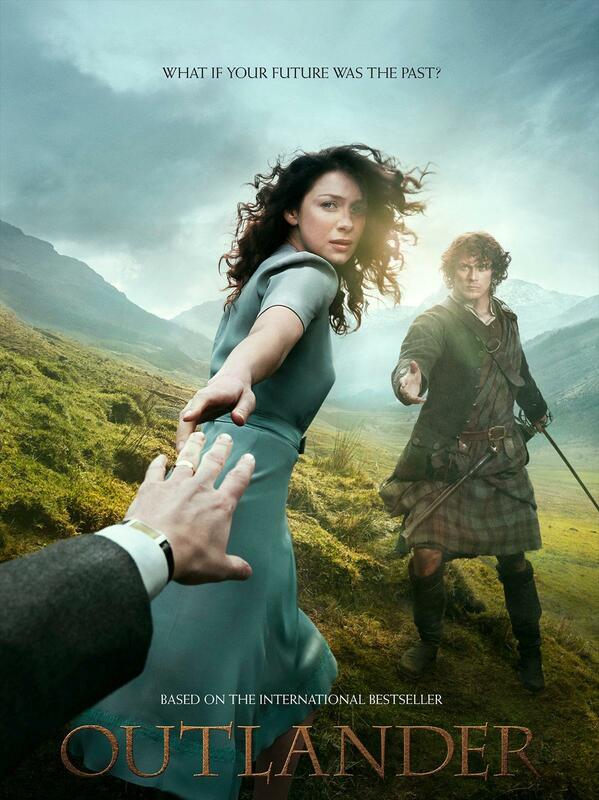 Outlander unfolds the tension between Catholic-Jacobean Scotland and Protestant England. The story starts out between eras/worlds – 1945 back to 1743. We are not sure, but with there being eight (almost nine) books and knowing what we do about history, it would not surprise us if the remaining books crossed continents. Lord knows, Captain Jonathan Wolverton Randall (“Black Jack”), of His Majesty’s Eighth Dragoons, is a very complex character. Though there has been much debate as to whether he is homosexual or bisexual, none of that really matters and is irrelevant to us. He is a psychopathic, depraved, and sadistic individual, who takes pleasure in terrorizing people by not only abusing them, but also mentally, physically and emotionally torturing them – an individual totally devoid of humanity. He is, without a doubt, the epitome of a well-developed antagonist and thus torments anyone he damn-well pleases! We think that’s enough said about him, without giving anything away! 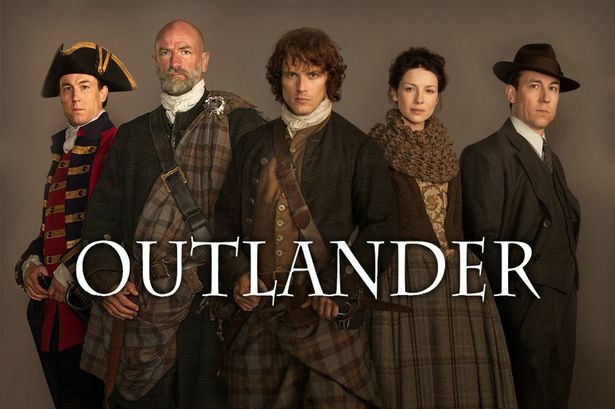 Although the time travel was not defined/explained in the first season of Outlander (or that of the ghost – yes, we know who it is), we are sure Diana Gabaldon will explain it in her own due time. This is a thesis unto itself. The entire season is full of this sort of prose—some from the author and others from the show writers. The first half of the season was setting the stage, the foundation of the series, and the characters getting to know one another. The second half was darker and showed aspects of the lead characters that you could not have imagined. Most stories are either plot-driven or character-driven. 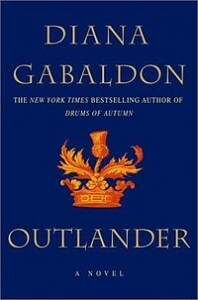 Outlander is both. Plot-driven: There was plenty of action and climatic scenes with characters having to make snap decision, repeatedly; most often than not, these decisions were life or death. Character-driven with character arc: Claire narrates the story; so for the most part, we know what she is thinking as to her process of making decisions. By episode 9, Jamie is the narrator and it was a nice change to view the episode from his point of view. Throughout the series, he is very open with Claire in telling her his rationale for the things he does. By the end of the series both have changed, probably for the better, and are in a different state (mentally, spiritually, emotionally and physically) than they were at the beginning of the story. Both evolved. Might we also add that the characters not only evolved, but also the actors in showing their acting range. We love that the story has strong, intelligent female characters, starting with its lead Claire, who fight for what they believe in and are extremely confident women living in the 18th century. 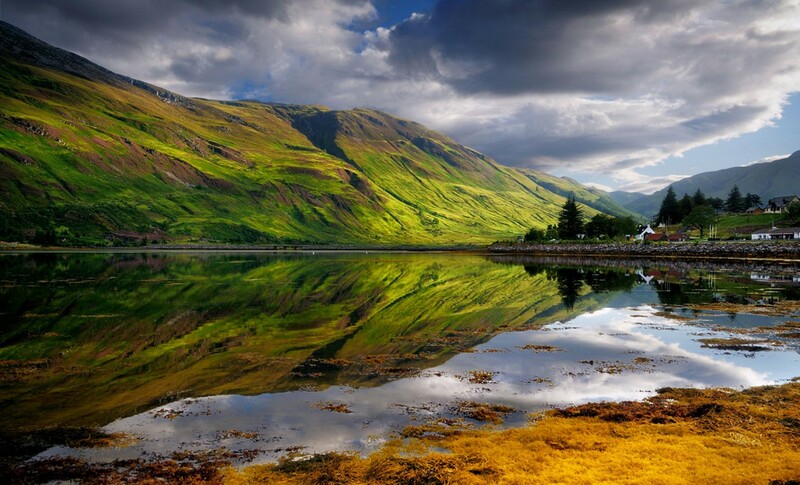 Scotland is also a character. 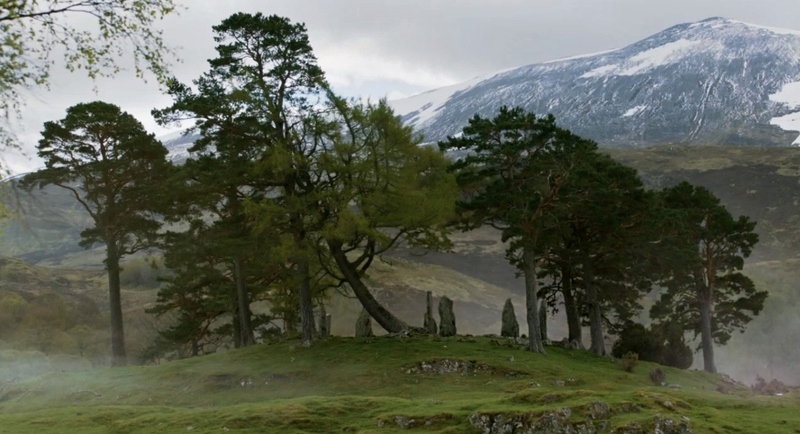 The TV adaptation is filmed entirely on location – Scotland. 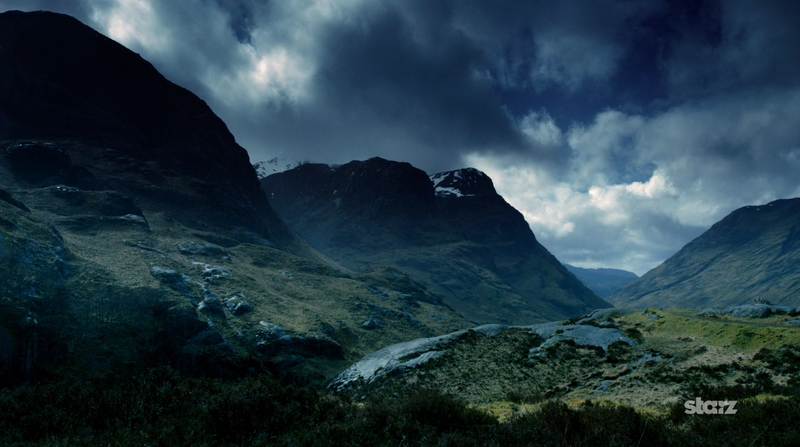 Filming throughout Scotland (having no CGI – Computer Generated Imagery) made for a picturesque backdrop, where we marveled at the scenery and characters’ surroundings. And then to put the icing on the cake . . . There is this EPIC love story (romance); and we do not use the word “epic” lightly either! Here is the type of love story we have never seen before on television where the characters show what REAL love, deep down to the bone love, means and what it really looks like. It is not an easy or quick relationship. Because the story deals with two people who have a 200 year divide, there are conflicts of viewpoints, beliefs and mores. It is also a time where your word is bond. This quote, which turns out not to be empty words among others, had a very profound meaning by the finale episode. The relationship develops throughout the entire first season. Each character had to dig deep within themselves, particularly Claire and Jamie, to learn who they are and how far they are willing to go to keep each other safe, as well as to protect the people they love. Both made sacrifices for each other and compromises with each other. Isn’t that what true love really is? As viewers, we not only saw it beautifully performed and well-executed by this amazing cast, but also felt every emotion behind decisions that were made. 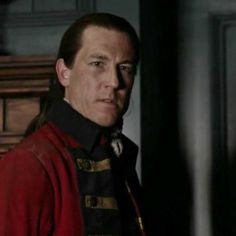 There aren’t that many cast who could have performed as strongly as this one did with actors, such as Caitriona Balfe (Claire Randall Fraser), Sam Heughan (Jamie Fraser), Tobias Menzies (who plays both, yet two distinctively different, characters Frank Randall and Black Jack Randall), Duncan Lacroix (Murtagh Fraser), Graham McTavish (Dougal MacKenzie) and all the rest. And, let us not forget the talented Terry Dresbach, costume designer for the show and wife to Ronald D. Moore, the executive producer, who left us with memorable, beautifully hand-embroidered costumes. Her ability to create costumes that switched between the 1940s and 1740s made viewers feel the authenticity of each character in their time. The Grove in LA acknowledged her work and creativity with an exhibit in May 2015. 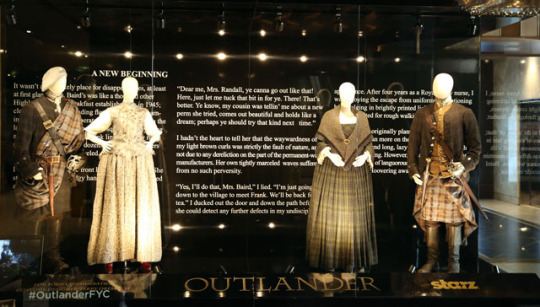 Showrunner Ronald D. Moore unveils an exhibit of costumes from the first season of the STARZ Original Series “Outlander” at The Grove in Los Angeles on Friday, May 22, 2015. 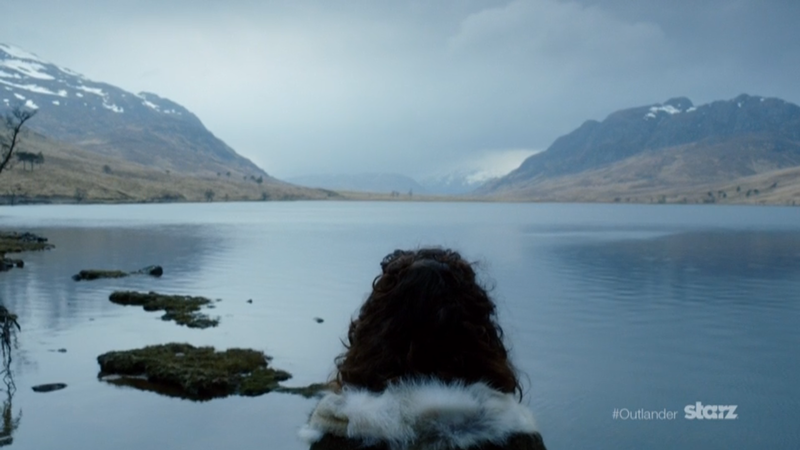 Outlander is smart storytelling, intellectually written, emotionally immersive, thought provoking, brave, raw and intense. Yes, the show is a roller coaster ride of emotions, to say the least; and by the end, we all exhaled! 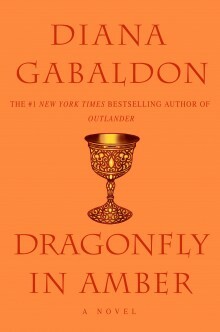 We can’t wait til Season 2 – adapted from Diana’s second book of the series, Dragonfly in Amber! Thanks, Norma D. We appreciate it!